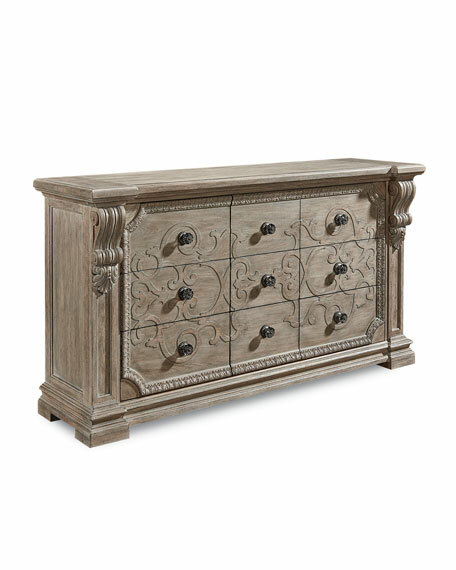 A stunning blend of rustic and glamthe handcrafted Chocolate Truffle 6-drawer dresser. 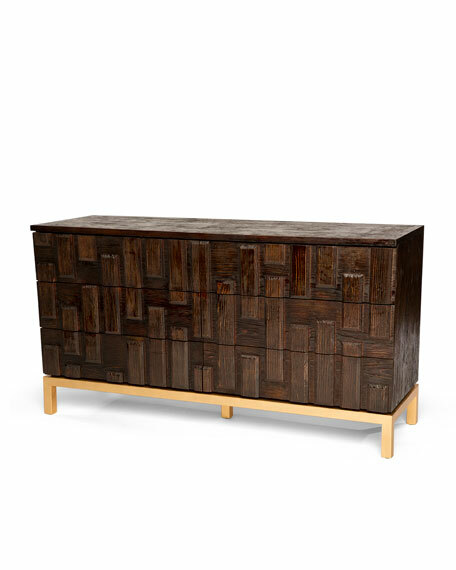 60"W x 18.5"D x 32"T.
Hand-placed reclaimed pine wood finished in a rich chocolate truffle hue. 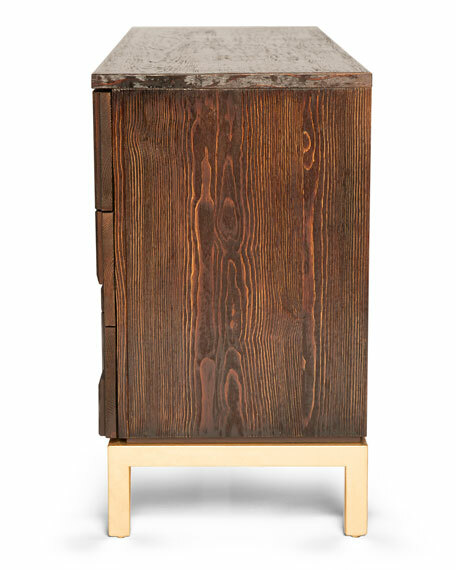 Handmade welded metal base hand gilded in gleaming gold leaf. Weight, approximately 180 lbs. Boxed weight, approximately 240 lbs. Acclaimed fashion designers Mark Badgley and James Mischka have captivated the world with their stunning red-carpet designs since launching Badgley Mischka in 1998. 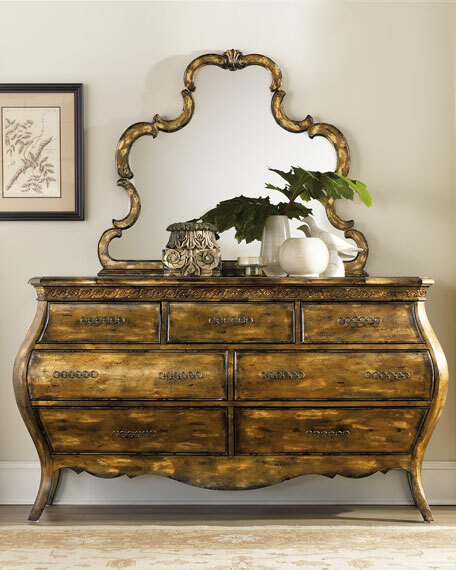 Now they are bringing their signature elegance to your home with their first-ever home line. 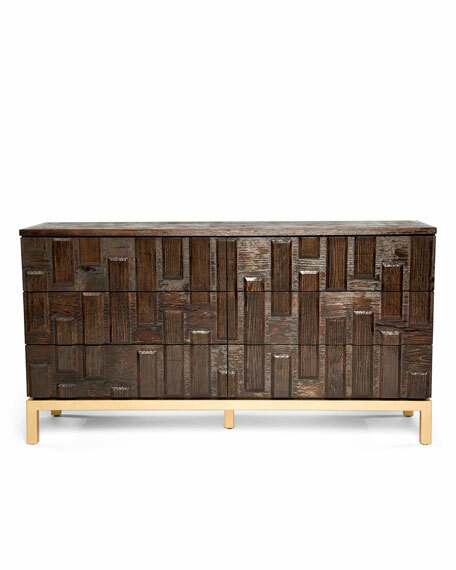 From dining, living, and bedroom collections to accent furniture, decorative accessories, casegoods, and candles, each piece possesses an allure that is both glamorous and modern, with handcrafted details that evoke a couture-level attention to detail. 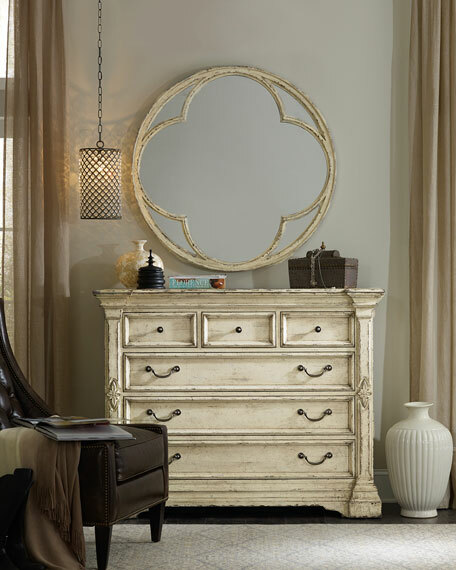 Handcrafted dresser; mirror sold separately.Hardwood solids and birch veneers.Hand-painted, distressed finish with brown undertones.Seven drawers. 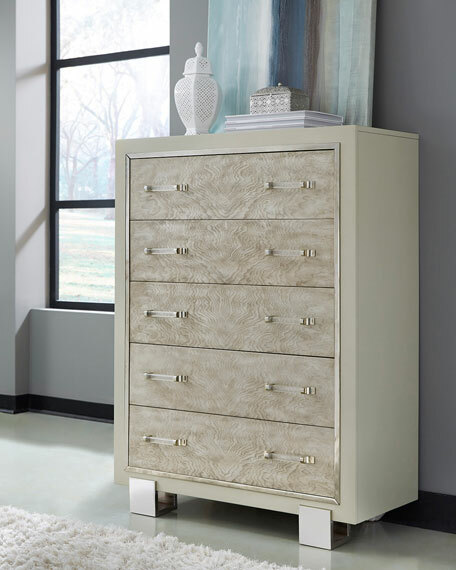 Felt-lined top drawers; cedar-lined bottom drawers.68"W x 21"D x 38"T.Light assembly required.Imported.Boxed weight, approximately 300 lbs.